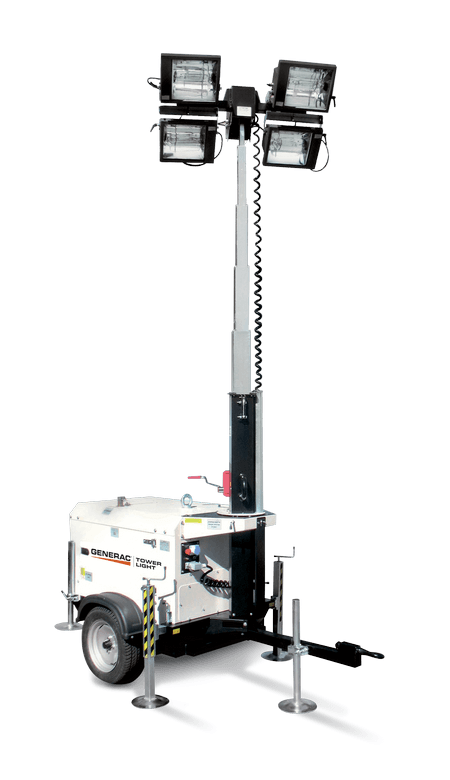 The compact footprint and ease of use are two main features that make the VT8 light tower one of the top models in the Generac Mobile® range. High performance balanced with low cost allowed the VT8 to became the best-seller model in the extra-European market. 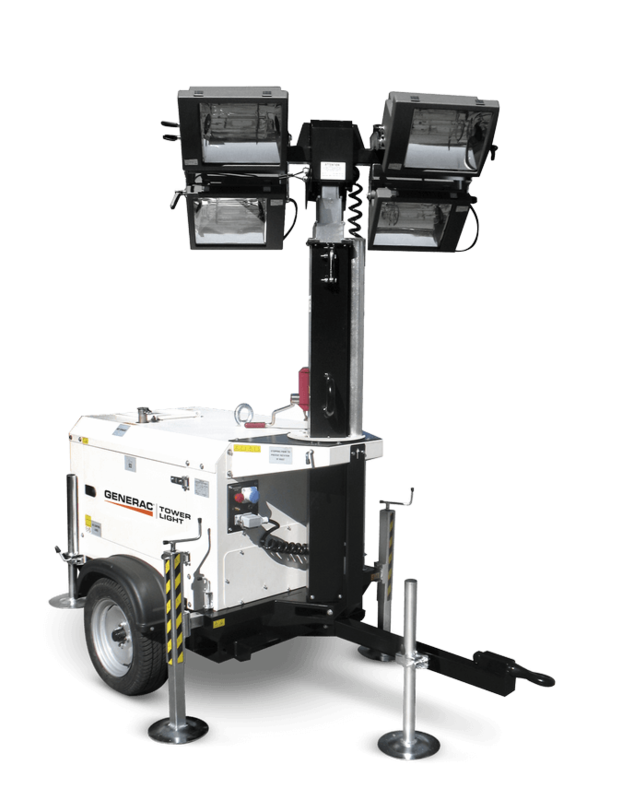 The VT8 is the best seller model of light tower in the extra-european market, thanks to the vertical mast and the high quality features granted by Generac Mobile®. A telescopic vertical mast with manual lifting system and a maximum height of 8 meters. 4x1000W powerful metal halide lamps able to illuminate medium and big working areas. The VT8 is equipped as standard with a low speed trailer but it can be also mounted on a straight road trailer. You can choose the engine you prefer between between Yanmar 3TN, Kubota D1105 and Perkins 403-D11.